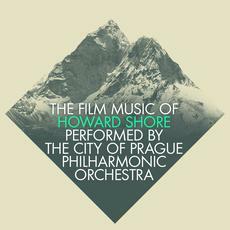 A 12 track collection spotlighting the very best music themes from Howard Shore’s 25 year cinema career. Considered a composer of choice by David Cronenberg (Dead Ringers, Eastern Promises), Martin Scorsese (Gangs Of New York, The Departed, Hugo) and Peter Jackson (The Lord Of The Rings Trilogy, The Hobbit), Howard Shore is one of the most respected and honoured artists in cinema history. His scores for The Lord Of The Rings Trilogy remain his most towering achievement, garnering three Academy Awards. Shore’s five decade career includes writing scores for many of the most popular and critically successful films of the modern era including The Silence Of The Lambs, Seven, Gangs Of New York, The Departed, The Twilight Saga and Hugo. Howard Shore has mastered some great scores and this is a very nice well made tribute to his work.